A few months ago I felt the urge to gather up all the entries posted on pbmGarden and save them. Not that I am planning a book and not that WordPress is going anywhere, but for my own satisfaction, I wanted my writing and images to be collected into one file that I could look through quickly and possibly use as a source to print a few sections. I tried several free websites that offer the service to import a website and convert it to a PDF. Some of these free sites worked only on one webpage at a time, not on an entire website. Others had size restrictions and produced incomplete files. BlogBooker can use export files from WordPress, LiveJournal and Blogger. In my case I created a Wordpress blog export file (using Dashboard|Tools|Export) and saved it to a place where I could find it again on my computer. On BlogBooker I supplied the name of my export file and the name of my blog, The process of compiling my blog entries took several minutes, then the resulting file opened up in Adobe Reader for review. I repeated this several times using various options. Once I was happy with the results, I saved the PDF output file through Adobe Reader. Did you ever want a hardcopy of your blog? Note: December 4, 2013 update. The only issue of inaccuracy I noticed when using BlogBooker is the gallery shortcode is not interpreted and shows up in the body of the article, rather than inserting the gallery images. 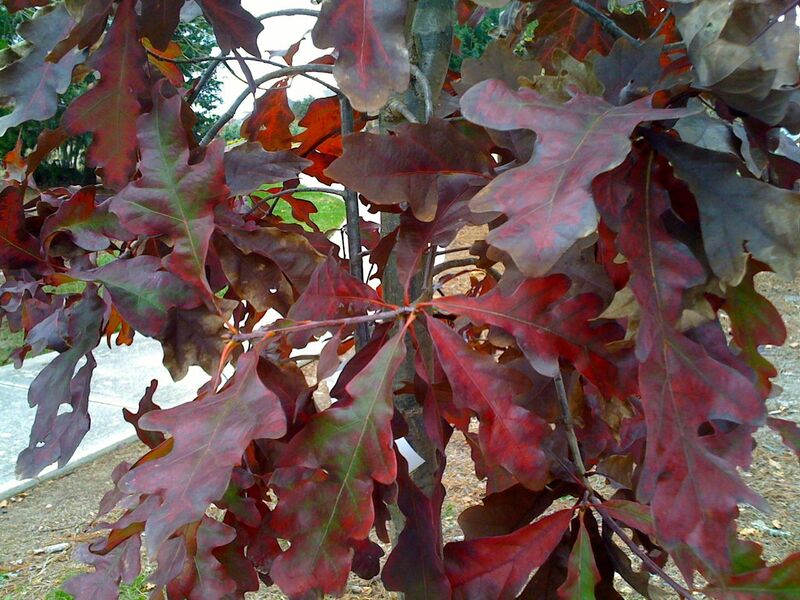 This entry was posted in garden and tagged blog hardcopy, BlogBooker, White oak (Quercus alba) on December 3, 2013 by pbmgarden. Interesting! I’ll have to remember this. Hope this is useful. I wrote this post partially as a reminder to myself of how to do this. Needed it for another project recently and it took quite a while for me to remember the name BlogBooker. Can’t thank you enough for this blog post. I have been wondering how I could copy all the posts and turn them into a hard copy to reproduce. And here you are with this information. I panic a bit over computer language, never quite getting it, but I will print your directions out and give it a go. You are my WordPress guru, a blog inspiration, a gardener with a beautiful garden! My hero. Thanks very much! For professional work, Stepheny, you may have manual editing to do once the BlogBooker output is produced, but hope you find it useful. This is a good idea! Unfortunately, occasionally something can go wrong and content is lost, or sometimes these online business are sold and discontinue a service. That’s what happened with my Piniterest-substitute bookmarking service. Hope it helps Cindy. Similar to your Pinterst-substitute service, I had a previous website built using iWeb that no longer works and although I have the individual files, I do wish I had a compilation that would be easier to read and search. This is great information, I too will copy your directions and try it. For longer posts I usually write in word and paste the result into wordpress so I do have most of my posts but not with the images. Glad you found it helpful Christina. This worked for my purposes. I’ll be interested to know what your experience is if you try it. I hadn’t thought about it really, but it’s very good to know about this service. It was a timesaver when I was trying to compile all my blog entries together. Not something we need everyday, but it was handy. Oh I have wanted to do this for a long time so thank you for paving the way Susie. I will look into this. Donna, hope this works out for what you have in mind. There probably are some other options but this one fit my budget and provided what I needed. Great information. I’ll have to try it. Thank you very much Susie. Glad you found it useful. Sometimes even if you don’t need something at the moment it’s nice to know solutions exist in case you need it later. I have, mainly because I worry about losing some or all of my old blog posts through some kind of WordPress crash. I need to find out if there is a way to just back them up onto a jump drive. This looks like a really useful tool so thank you for sharing. You’re welcome. It worked well for my purposes. Looks like Seattle is colder than NC right now. We’re headed for high 70s today, but by Sunday a hight of 38.